Is carried out closely following the speaker; participants of the event hear translation through the headphones. This type of interpretation is the most effective and economical: the speech is interpreted practically on-line, without pauses and saving time essentially. Simultaneous interpretation represents the most justified choice for conferences, trainings and workshops. As a rule, interpreters work in groups of two or more persons, replacing each other every 15-20 minutes. For simultaneous interpretation special equipment is required inclusive of microphones, headphones and a booth for the interpreters. If you don’t have such equipment, it can be rented from us. Consecutive interpretation is the most justified choice for work in small groups, during business negotiations, for example, when visiting exhibitions, etc. After two or three sentences the speaker makes a pause, giving the interpreter an opportunity to translate what has been said. 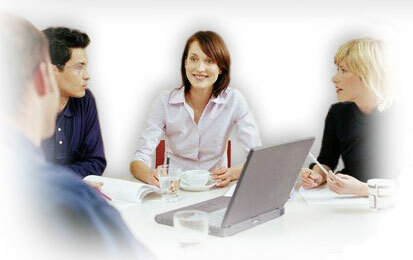 We are always ready to consult you on oral interpretation and to provide all the means necessary. For more information or to make an order, send us an e-mail, or contact us using the contact form, or simply call us. We offer medical interpretation, legal interpretation.